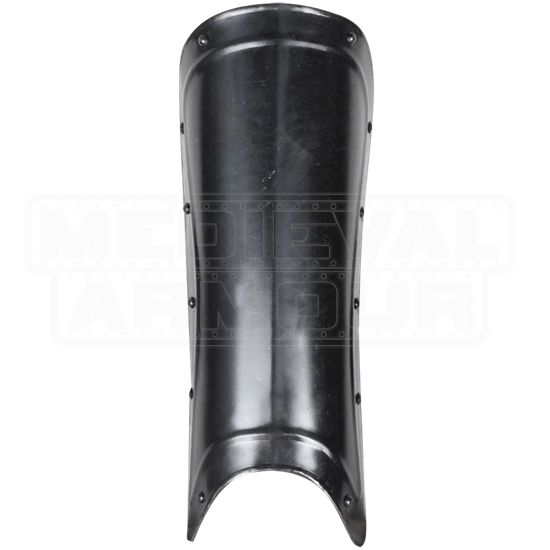 Wear the Blackened Georg Greaves to add style and protection to any LARP outfit. Made of 18 gauge steel, these greaves feature a classic design, with decorative grommets adorning their outer edges. 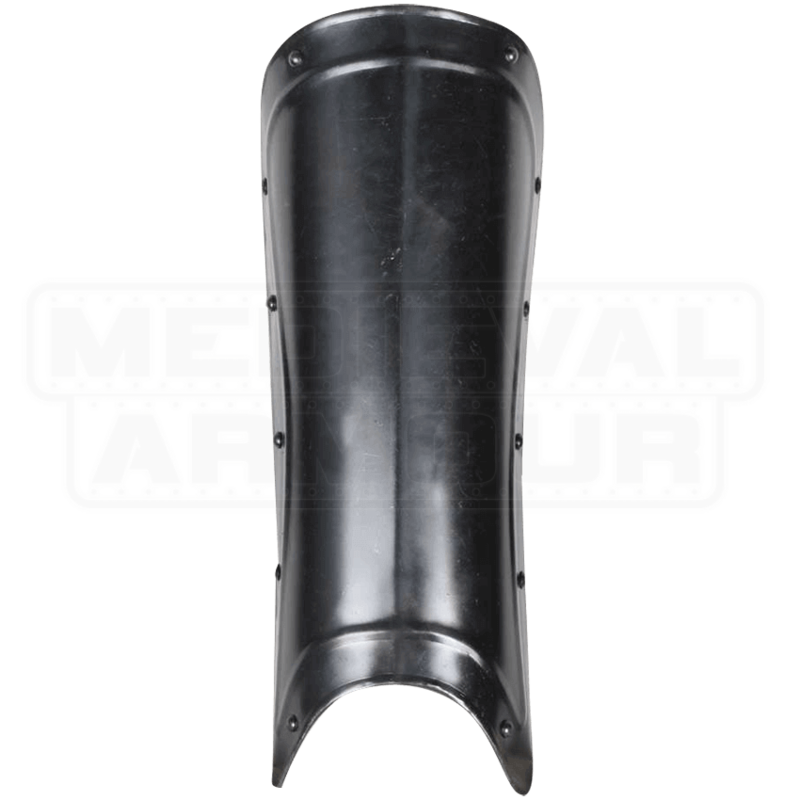 They are versatile enough to suit a variety of historic looks, particularly medieval steel plate armour ensembles for light reenactment, and are sold in sets of two, one for each leg. Two buckled straps secure these greaves to the back of the leg.